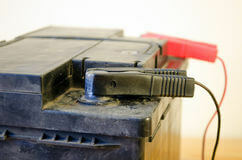 Applying an equalizing charge to your lead-acid batteries will help them charge better and last longer. So whether you are a battery reconditioning expert or a rookie, it is essential that you know what an equalizing charge is and how to apply one to a lead-acid battery, so you can get the most out of your battery. This simple technique is something that needs to be done on a somewhat regular schedule, and is basically the controlled overcharging of the battery. Why Is An Equalizing Charge Needed? 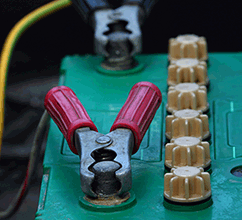 An equalizing charge is needed because lead-acid batteries have sulfation issues that prevent proper charging. Sulfation takes place because small sulfate crystals form when a lead acid battery is in use. This is normal and not harmful; however, when the battery is only partially charged for a prolonged period, these sulfate crystals turn into stable crystalline and buildup on the battery’s negative plates. When this takes place, it prevents the battery from taking on a full charge. Additionally, an equalizing charge is needed for a second reason. Over time, cells in a lead-acid battery will become more and more unbalanced, with some cells overcharged and some undercharged. But an equalizing charge will correct these sulfation and unbalanced cell issues. When batteries are undercharged, they develop sulfation as a result. Normal recharging of a deep cycle battery with a constant charge can also cause sulfation. So some degree of sulfation is inevitable in lead-acid batteries. Why Does An Equalizing Charge Help? When you perform an equalizing charge you will break up the crystalline on the battery’s plates and allow the sulfate to re-mix with the sulfuric acid. Additionally, an equalizing charge will ensure the cells operate with the same level of charge rather than having some cells that are overcharged and some that are undercharged. Both of these factors will help the battery charge and perform better, as well as last longer. How Is An Equalizing Charge Applied To The Battery? The easiest way to apply an equalizing charge to a lead-acid battery is to use a high-quality battery charger that has an automatic equalizing mode. Many new battery chargers have this setting so finding a quality charger that can equalize your battery shouldn’t be a problem. If you do use a charger that has an equalizing mode, just make sure you leave your battery connected and powered up long enough to complete the equalization. Step 1) Get out your battery charger (i.e. one does not have an equalizing mode). 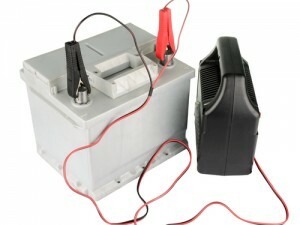 Step 2) Get out your lead-acid battery and ensure that the battery is a FLA (flooded lead-acid) battery. *IMPORTANT: Applying an equalizing charge to other kinds of batteries may cause damage and is not recommended. This includes SLA (sealed lead-acid) batteries like AGM (absorbed glass mat) and Gel batteries. Step 3) Remove all electrical connections to the battery. Step 4) Connect the battery to the charger. Step 5) Charge the battery until it has reached a normal full charge. Step 6) At this stage the charge is usually automatically terminated by the charger. Step 7) If your charger does not have an equalizing mode, you should now restart the charger once the initial full charge has been reached. Restarting the charger can be done by disconnecting AC power and reconnecting it. This process will extend the charge time for the battery by 1-3 hours. Step 8) Gassing and bubbling of the electrolytes and other side effects will occur as a result of correct equalizing. Step 9) Make sure you take specific gravity readings and the true state of the battery’s charge every hour during this process using a temperature compensating hydrometer. Step 10) Make sure you also replace any water that is lost in the equalizing process. Step 11) Check to see if the equalizing process has been completed. You will know if this has happened when the specific gravity values are no longer increasing during the gassing stage. *note: If the charger ends the process automatically, before the equalizing charge has been completed and before the gravity readings are constant, then restart the charger and continue the equalizing until the gravity readings are constant. How Often Should You Apply An Equalizing Charge To The Battery? Different battery manufacturers recommend different intervals for when to apply an equalizing charge. The most common interval is monthly. But other manufacturers recommend once every 6 months, while others recommend every 10 or 12 cycles. So check with the battery manufacturer to see what they recommend and then follow that interval. Additionally, make sure you are adding water to the battery every month and every time you perform an equalizing charge. Is There More That Can Be Done To Maximize A Lead-Acid Battery’s Life? Performing these equalizing charges and adding water regularly to a flooded lead-acid battery will extend the life of the battery and help it perform optimally. 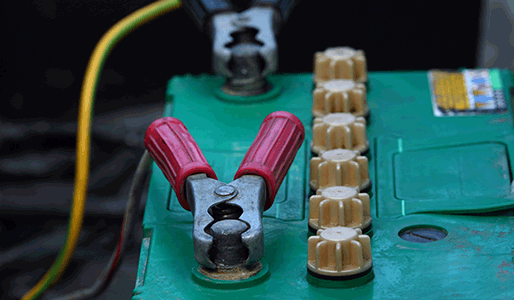 Our EZ Battery Reconditioning course shows you exactly how to do this step-by-step. The simple method we show you how to do in our program is quick, easy to do, and doesn’t require advanced tools or equipment. 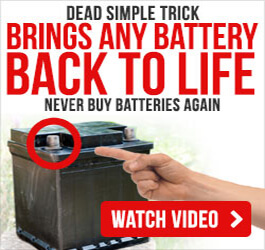 So if you want to take it to the next level and bring any lead-acid battery back to life again …as well as many other kinds of batteries, check out the new presentation I just put up to learn more. Super helpful article. Thanks guys. Great battery reconditioning course too. Appreciate all the work you put into this. Your site is so fantastic.